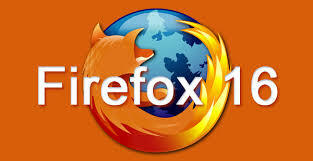 Recently a researcher discovered a vulnerability in the latest version of Firefox ,v16.0, that allows attacker to gather detailed information about user browser history. Previous versions and later version are not affected. Although it was initially believed that the vulnerability allow access to browser history, Mozilla representatives told Ars Technica that "the flaw allowed access to the URL of windows or frames to which the attacker has a reference only—generally the ones that the attacker opened." Now, researcher published a proof-of-concept that demonstrate how an attacker collect your twitter account name when you click a button. The attacker opens a new window and load a specially crafted Twitter url that contains a personal Twitter ID. If a user signed in already, then hackers able to collect your twitter name. When i read the story, I started to think in the Spammers' point of view. Recently, i report a Facebook scam that ask user to verify their account by pasting their access token in the hacker's site. I have just modified the poc with the spammer's code to display the authentication token of facebook, Successfully it worked for me. Yes, it is very easy for a hacker to steal the authentication token. Just one click is enough for hacker to gain your authentication token without much effort. specialist in this area to solve my problem. Maybe that's you! Looking forward to see you.